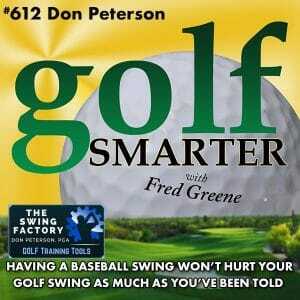 612: Don Peterson, swingfactory.com, has figured out how to communicate a great golf swing with easily relatable metaphors, like holding a punch bowl or swatting a bee with your tummy. 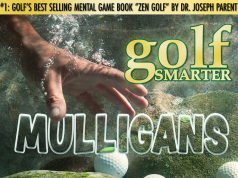 His two books, “Miyagi Golf: Wax-On Wax-Off for Golf” helps you become a better self-trainer, and “The Baseball Golf Swing Method” will help you build your swing from scratch or re-build a faulty swing. 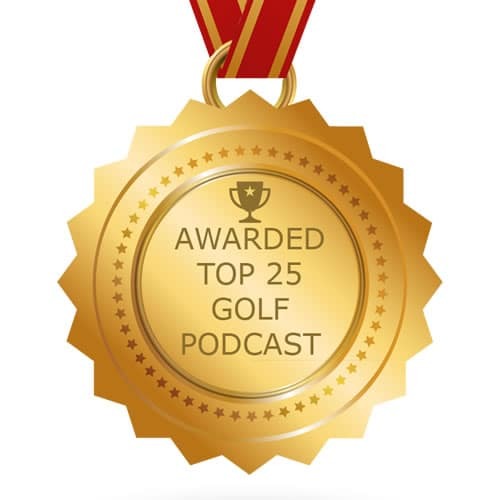 Congratulations to our winners, Danny Valenzuela of AZ and Barry Watson of NC who were randomly selected by Dean Reinmuth to receive a Swing Coach Club and free video review session with Dean!!! But that’s not all, we have two more of the same to giveaway! No purchase necessary. 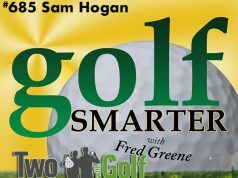 Register to win at GolfSmarter.com/swing-coach-giveaway/ Deadline to enter is 6a Pacific/9a Eastern Time on December 12, 2017. The winners will be announced on the episode 615, published on December 12, 2017. This episode is brought to you by ledbury.com/golfsmarter. For those who want high quality, custom fit dress shirts without paying outrageous prices, check out ledbury.com/golfsmarter. Use promo code “golfsmarter” for a 20% discount on your first order. Have questions about your game? Call our Hey Fred Voice Mail and get an answer on the show. Call 415-761-1498.